When you’re searching for accommodation you will be assisted by our partner in China. They rooms in shared apartments. Would you like to share an apartment with people of your age and you would like to have some privacy too? These apartments are perfect for your stay. 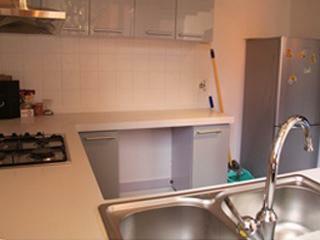 The apartments are fully equipped and have a shared living room, kitchen and bathroom. The common rooms in apartments are cleaned on a weekly basis. Prices are including gas, water and electricity and all rooms have air conditioning. You also have unlimited access to the internet. Very convenient when you want to Skype with your friends and family back home! You will be staying in an apartment with 3 or 4 students in total. When you go to China with a classmate, you can request for an apartment where you can stay together. There is a contact person available if you have questions about accommodation. If you have any questions or comments you can always visit our partner. For further information about accommodation in China and a price list, you can contact us at acco@internshipprovider.com .